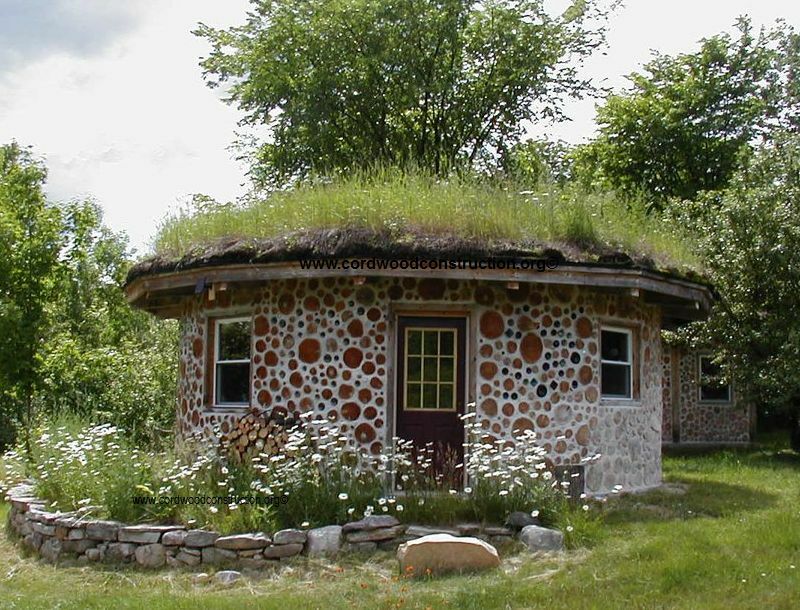 Bruce and Nancy Kilgore’s built this beautiful round cordwood guesthouse in upstate New York. 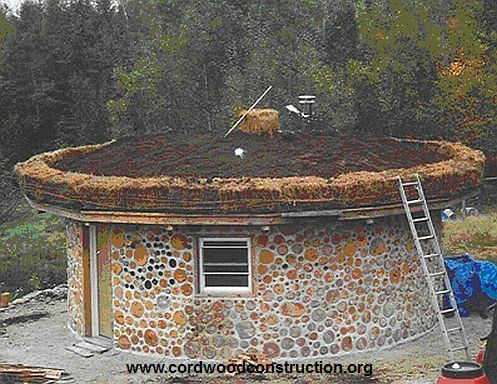 After they built it, they lived in it for nine months while constructing their double-wall cordwood home nearby. Nancy is a mortar maven and Bruce is a superb mortar mixer. 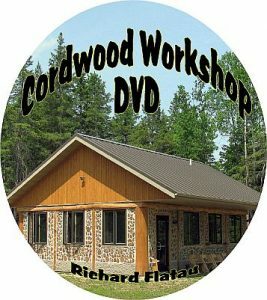 They make an excellent team and have built some of the most beautiful cordwood I have ever seen. 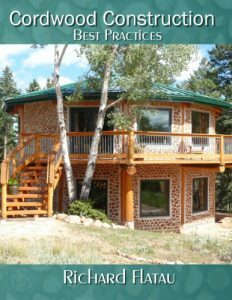 They wrote an article about this guesthouse (which has a hidden post and beam framework) in the Cordwood Conference Papers 2005, called “Wraparound Log Ends” and then wrote an article about their new cordwood home in the Cordwood Conference Papers 2011 called “Ravenwood: One Couples Adventure.” These excellent compilations of cutting-edge cordwood articles are available in print or ebook at www.cordwoodconstruction.org Click on Bookstore. 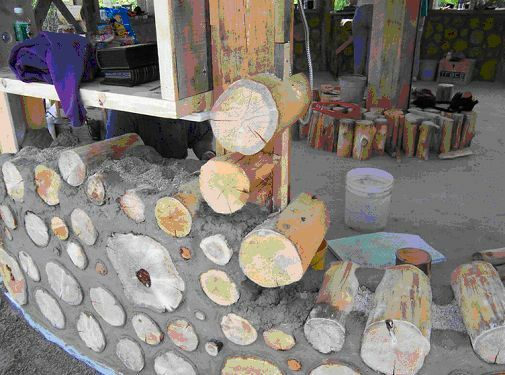 Notching the logs and wrapping them around the posts. Then they are toe-screwed to the posts. The living roof is being installed by hand.